I love supporting small boutiques and when I saw this 'Celine Me Alone' t-shirt at Impact Boutique on South Street Philly, I had to get it. 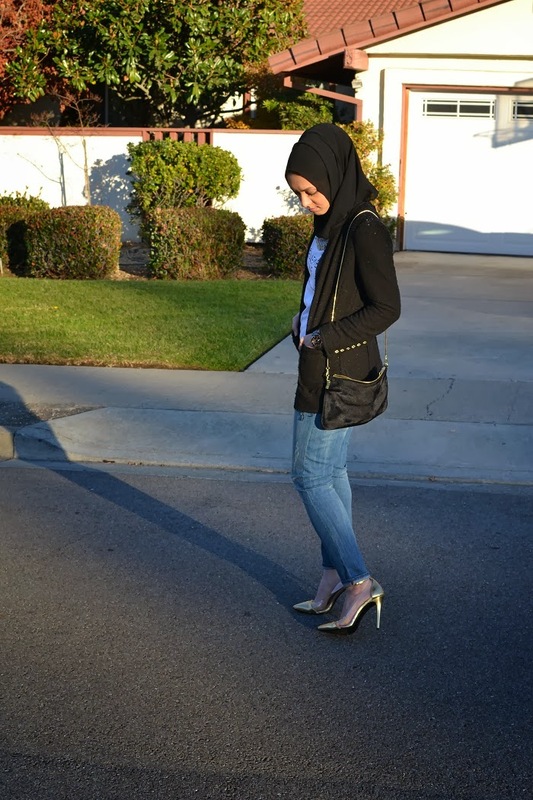 I paired it with boyfriend jeans, a black blazer and gold heels to dress it up. I love the dressed up t-shirt look and I was really excited when I rummaged my cousins jewelry to find this beautiful coined necklace! 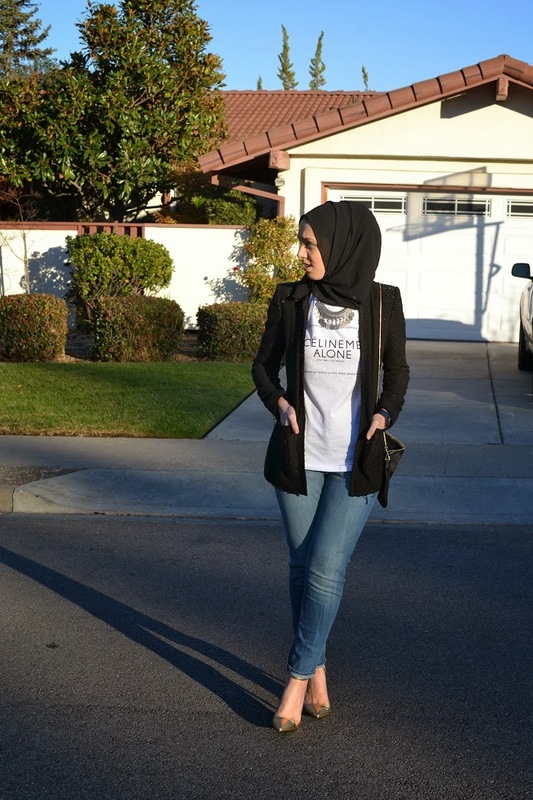 This was the perfect outfit for a sunny brisk day in California.